Comics' most adorable antihero is about to face the fight of her life! First, she's taking on the corrupt mayor of New York City, whose evil plan for the homeless population will take a bite out of the Big Apple in more ways than one. Then, Mr. and Mrs. Quinzel are in town to meet their li'l monster's new crew. And since "alternative lifestyle" barely begins to describe the vida loca that Harley's livin', our bat-wielding bombshell's more than a little mortified. 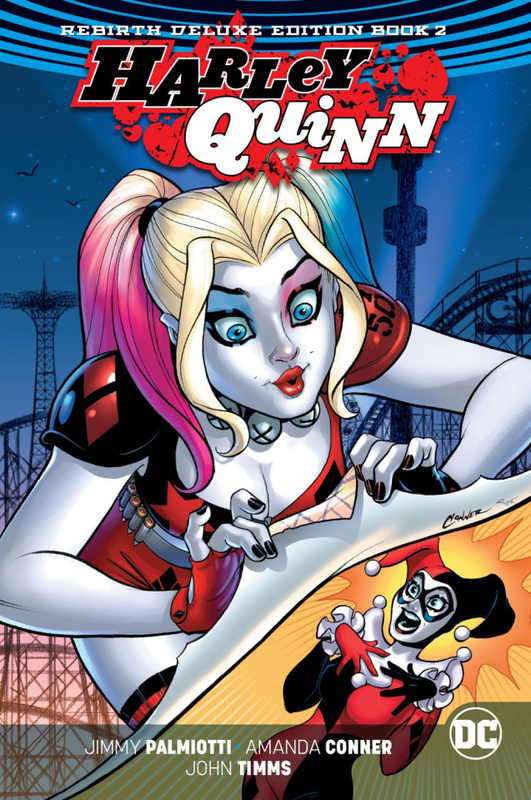 Collects issues #14-27 and HARLEY QUINN 25TH ANNIVERSARY SPECIAL #1.